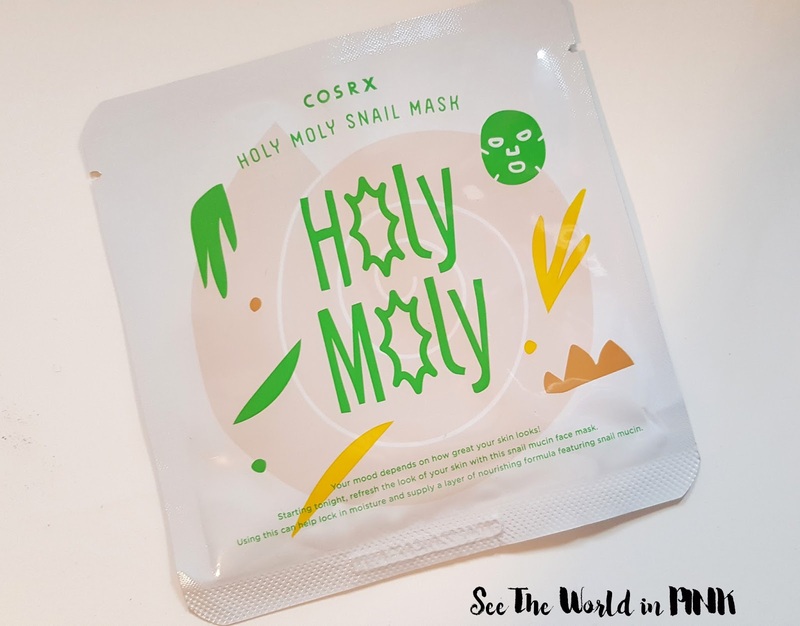 You should know by now that I LOVE me some weird ingredients in my masks - especially SNAILS! Most of the snail products that I have tried have worked amazing on my skin and are great at repairing and hydrating my skin! 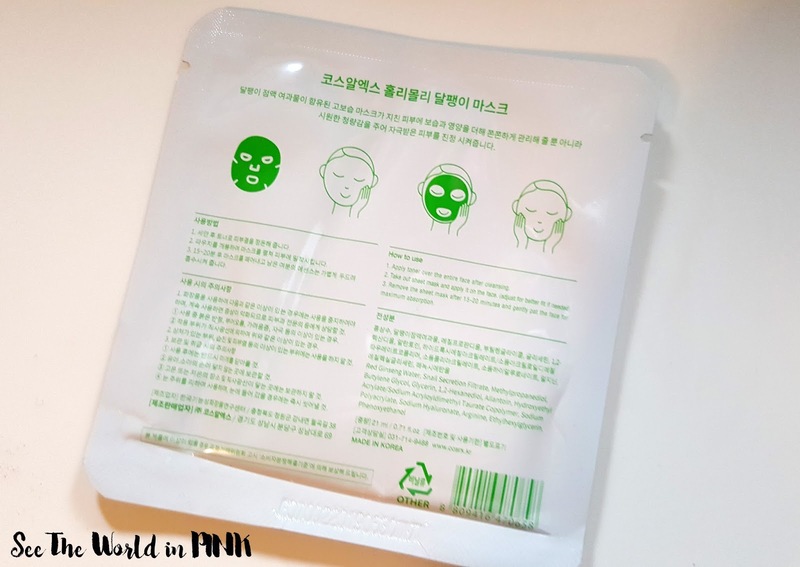 This mask is straight-forward to use - wash face, tone skin, apply mask to face, leave on face for 15-20 minutes, remove mask, pat remaining essence in to skin, and complete skincare routine. This mask is slightly pink tinged and fits fairly well - it doesn't have tabs, but just needs a little folding and smoothing out to get it to fit well. This mask came soaked in essence, and lasted on my face for over 30 minutes on me! Overall, I was happy with the results of this mask! I thought it made my skin feel very hydrated and super soft! This also improved the look of my skin - it was visibly brightened! 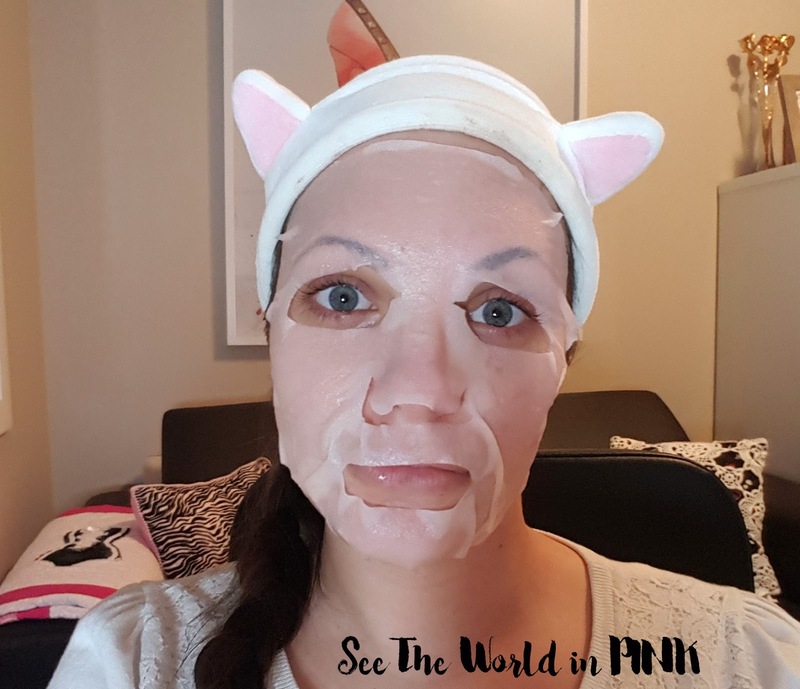 I will say that snail power continues here on See The World in PINK and I will repurchase this mask!